Wind turbines manufacturer Vestas announced a flurry of turbine orders multiple markets. Vestas received a 28 MW order from Total-EREN for the Flampouro project located in Greece. It includes the supply and installation of two V117-3.45 MW turbines and six V126-3.45 MW turbines. It also secured a 279 MW order in Sweden from Eolus Vind. 61 V136-3.45 MW turbines will be supplied to the Kråktorpet and Nylandsbergen wind projects. 13 V136-3.45 MW turbines will be delivered to the Sötterfällan and Anneberg projects. Vestas also signed a partner agreement with W.E.B to supply its 4 MW platform for future projects in Germany, Austria, Italy, France, Canada, and the US. Meanwhile Ebert Erneuerbare Energien Projekt placed a 28 MW order with Vestas for eight V136-3.45 MW turbines for the Grohnde-Kirchohsen wind park in Lower Saxony, Germany. Vasa Vind ordered 23 V110-2.0 MW turbines for the 49 MW Munkflohögen wind farm located outside Östersund in central Sweden. Vestas has received a 96 MW order from Innogy Renewables UK for the Clocaenog Forest wind farmin the UK. Aquila Capital is set to acquire the 357 MW Valhalla windpower project in Sweden. The project will consist of 85 V136 4.2 MW Vestas turbines. The project will be delivered on an EPC basis. Vestas has received a firm and unconditional order from an unnamed client for a 190 MW project in the USA. 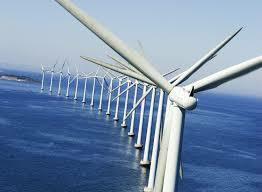 Vestas will supply its 4 MW platform. It also received a firm and unconditional order for 87 V136-3.45MW turbines for the 300 MW Henvey Inlet wind project in Ontario, Canada. The order was placed by Pattern Energy Group. Avangrid Renewables placed a firm and unconditional order for 184 MW of wind turbines. The deal includes 41 V136-3.45 MW turbines for the first phase of the Montague wind project in Oregon. Vestas will supply nine V136-3.45 MW turbines to Vientos de Renaico for the 32 MW La Flor wind farm in the Renaico region of central Chile. Argentina’s Petroquímica Comodoro Rivadavia placed an order with Vestas for the supply and installation of six V117-3.45 MW turbines. Delivery is planned for the second quarter of 2018 and installation is scheduled for the fourth quarter of 2018. Vestas has signed a deal with Aluar Aluminio Argentino to extend the Aluar wind park. The contract to build the second phase of the project comprises supply and installation of 14 V126-3.45 MW turbines. Compañía Eólica Vicente Guerrero has placed a 118 MW order with Vestas for the Vicente Guerrero wind park in the state of Tamaulipas. Watsun Infra Private, a subsidiary of Continuum Wind Energy, has placed a 96 MW order with Vestas for the second phase of the 150 MW Periyapatti wind farm in the state of Tamil Nadu, India. Vestas will supply 34 V100-2.0 MW turbines as well as 14 V110-2.0 MW turbines. This news was first report in the CapProCon e-newsletter.